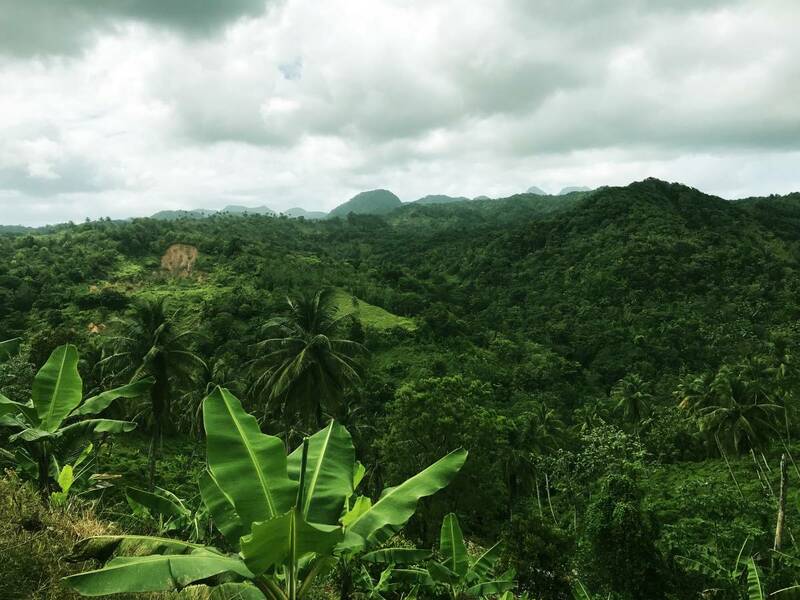 Looking to explore the natural beauties of St. Lucia in the form of a nature enriched hike? Zee Tours & Adventures is ready to guide you through an exciting journey that will let you discover the pristine wonders of this gorgeous island. 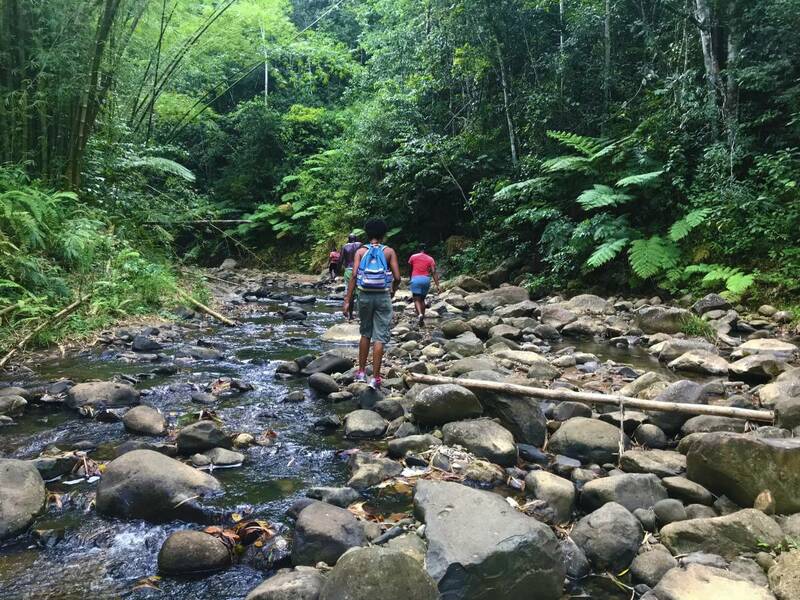 The hiking tour starts in the southern region of the island(Vieux Fort), conveniently located 15 minutes by car from the airport. 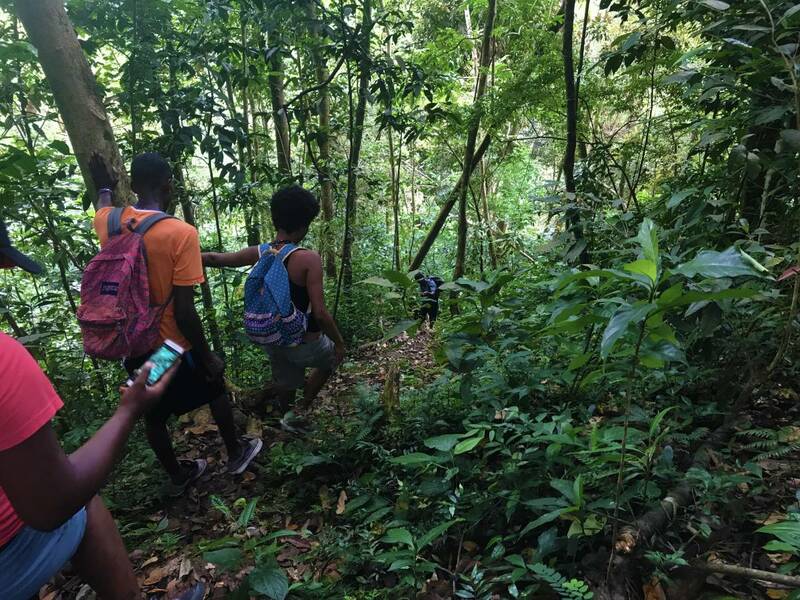 Here you will begin your hike by descending into luxurious verdant forests, where you can take in the fresh air and see the island’s beautiful flora and fauna. 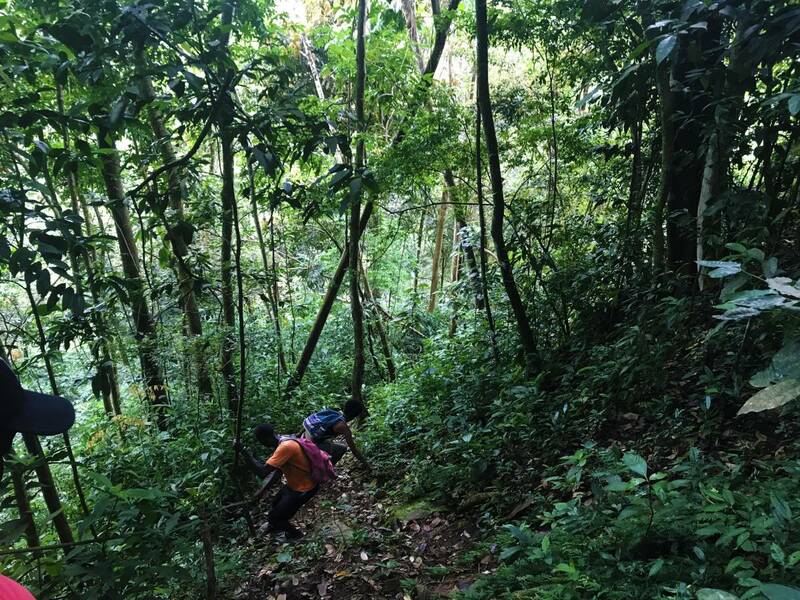 For those that are looking for a little extra activity, our experienced guides are ready to take you rock climbing along the hiking trail. Don’t worry if you have no experience whatsoever, the terrain is very welcoming to novice rock climbers. 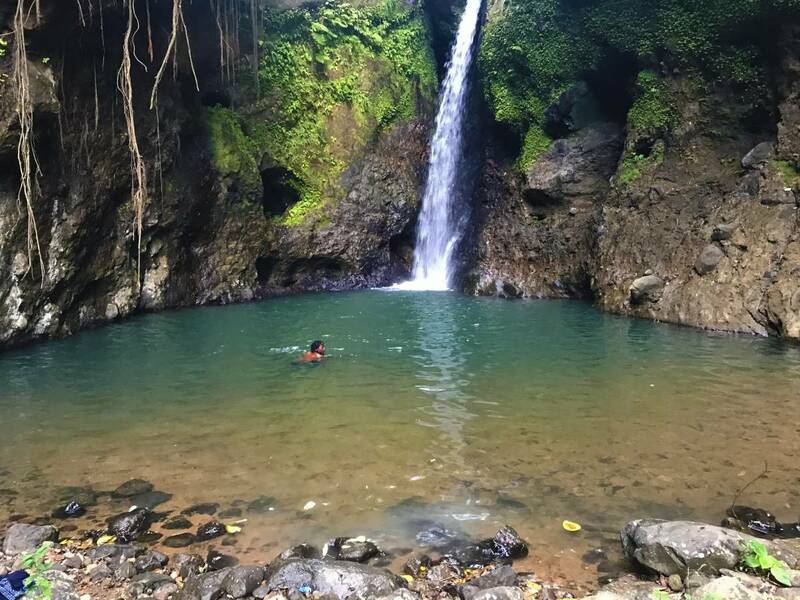 As you make your way through some of the most scenic terrains in the St. Lucia, you will encounter many waterfalls that flow spectacularly over the steep lush cliffs. 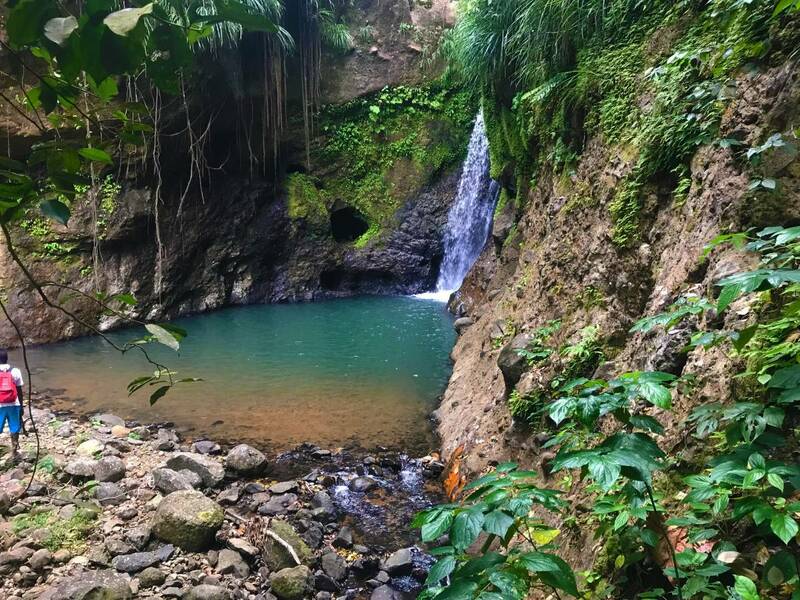 Our hiking route includes numerous different natural pools and waterfalls, from small streams that drip gently to dramatic drops of water that roll off the rocks. 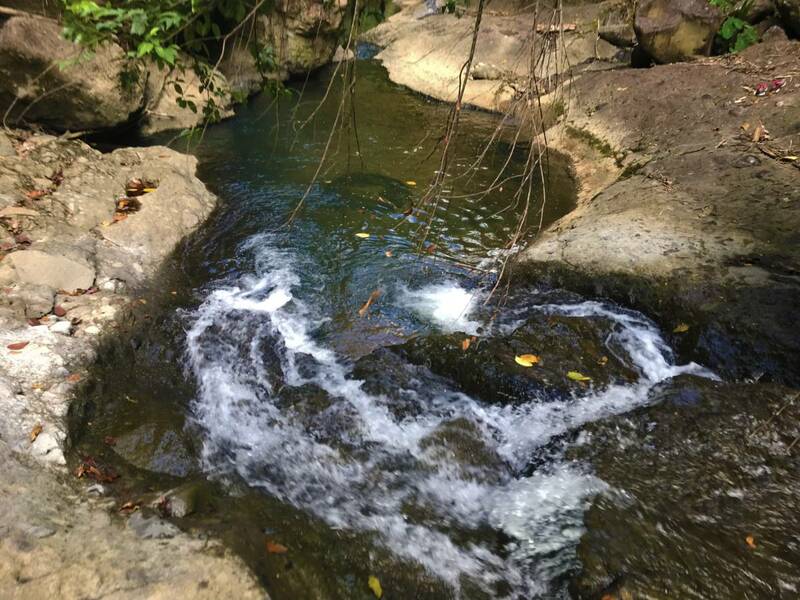 During the hike, you can refresh and invigorate yourself underneath the cool and pure water of these cascades. Some of these falls form a pool at their base, where you can take a swim or bath. 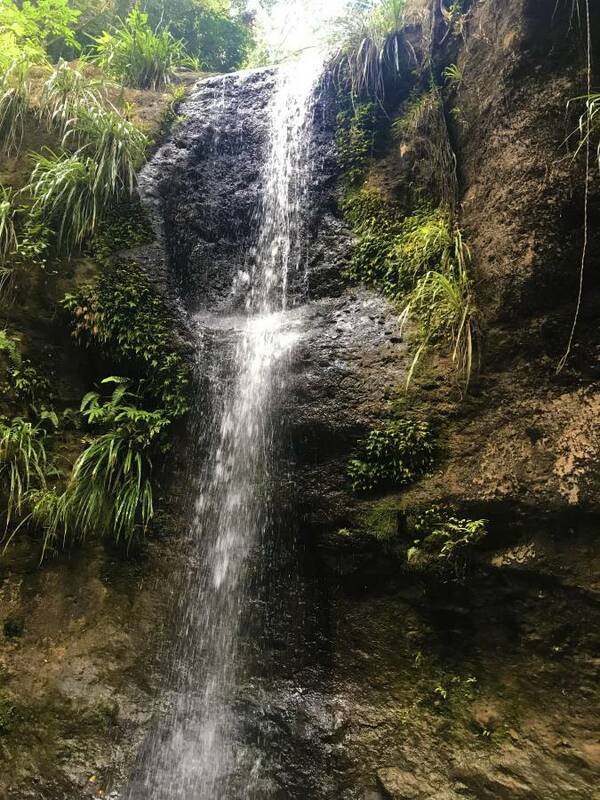 Depending on your tour package, you will be taken to specific waterfalls, so you can pick which ones you would like to explore. Also, at the waterfalls, you can opt to have a local meal cooked by the guides. 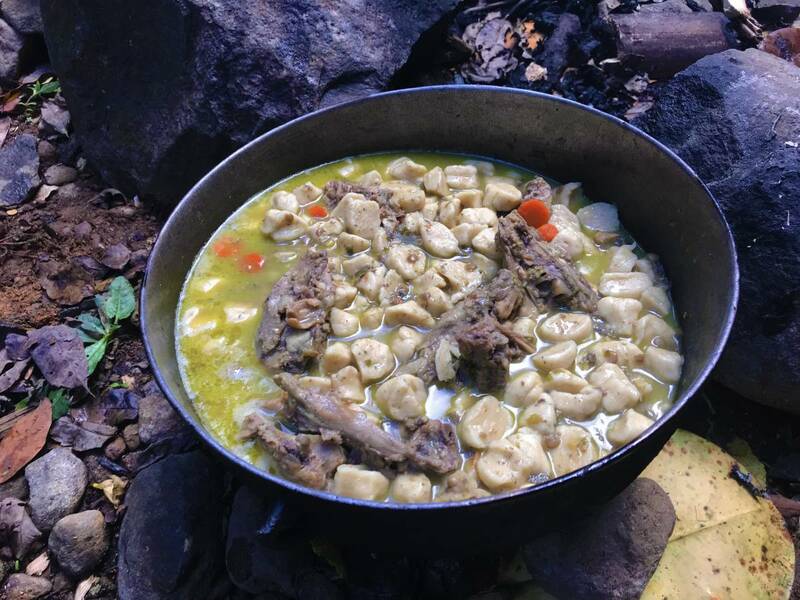 An authentic local dish enjoyed while communing with nature – sounds good, doesn’t it? 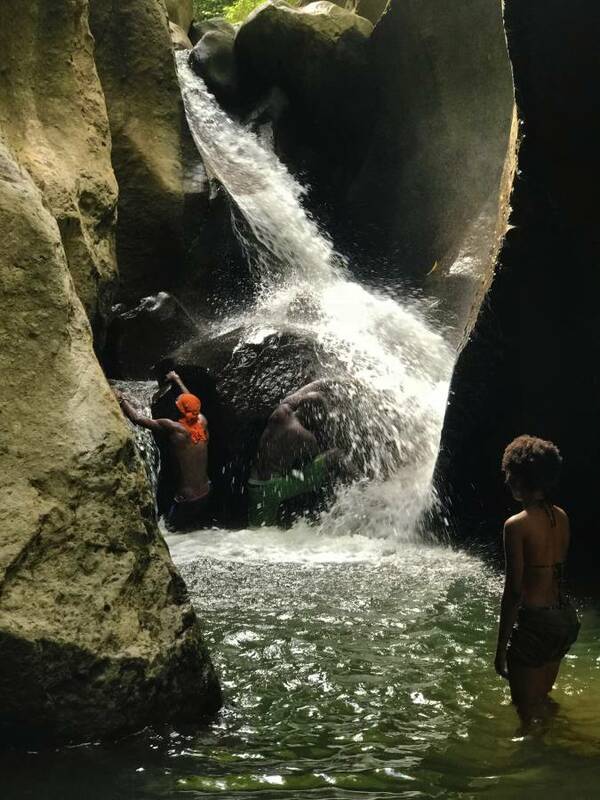 Book your nature enriched tour today and experience some of the most hidden St. Lucian waterfalls. Pricing is per person. Preparing a meal at the waterfall varies in cost depending on the dish chosen to be prepared and the number of persons. We’ll provide you with the available list of dishes and costs via email after your booking. Preparing a meal is optional. 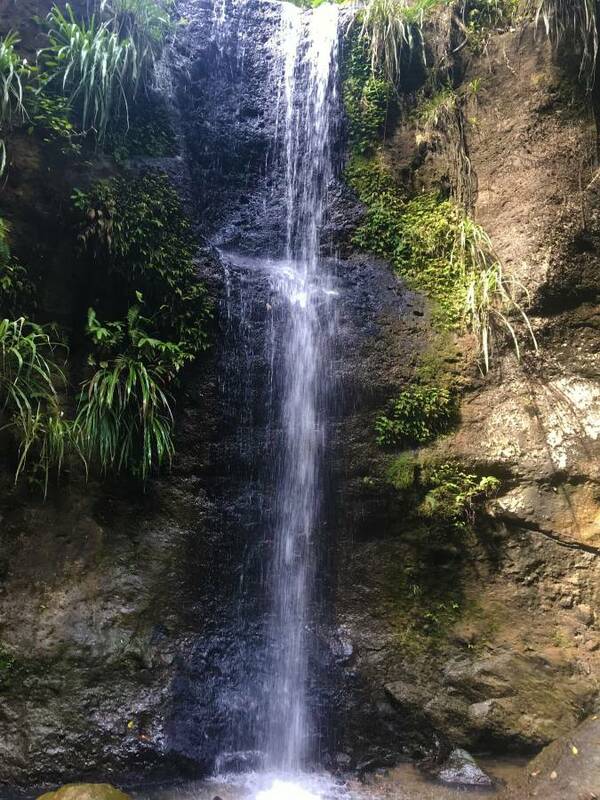 You will have ample time to take a shower at each waterfall you visit! 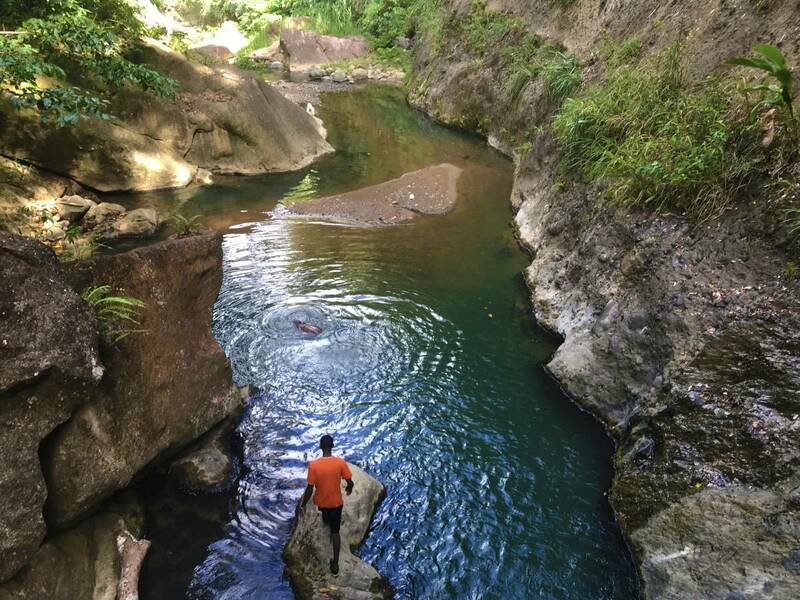 There are many natural pools along the hike which you can also take a dip in along the journey.